"Sheepherding" redirects here. For other uses, see Shepherding. "Sheepherder" redirects here. For the painting, see Sheepherder (painting). For other uses, see Shepherd (disambiguation). A shepherd or sheepherder is a person who tends, herds, feeds, or guards herds of sheep. Shepherd derives from Old English sceaphierde (sceap 'sheep' + hierde 'herder'). Shepherding is among the oldest occupations, beginning some 5,000 years ago in Asia Minor. Sheep were kept for their milk, meat and especially their wool. Over the next thousand years, sheep and shepherding spread throughout Eurasia. Henri Fleisch tentatively suggested the Shepherd Neolithic industry of Lebanon may date to the Epipaleolithic and that it may have been used by one of the first cultures of nomadic shepherds in the Beqaa Valley. Some sheep were integrated in the family farm along with other animals such as chickens and pigs. To maintain a large flock, the sheep must be able to move from pasture to pasture. This required the development of an occupation separate from that of the farmer. The duty of shepherds was to keep their flock intact, protect it from predators and guide it to market areas in time for shearing. In ancient times, shepherds also commonly milked their sheep, and made cheese from this milk; few shepherds still do this today. 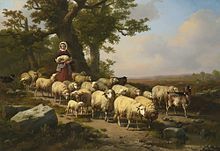 In many societies, shepherds were an important part of the economy. Unlike farmers, shepherds were often wage earners, being paid to watch the sheep of others. Shepherds also lived apart from society, being largely nomadic. It was mainly a job of solitary males without children, and new shepherds thus needed to be recruited externally. Shepherds were most often the younger sons of farming peasants who did not inherit any land. In other societies, each family would have a family member to shepherd its flock, often a child, youth or an elder who couldn't help much with harder work; these shepherds were fully integrated in society. Shepherds would normally work in groups either looking after one large flock, or each bringing their own and merging their responsibilities. 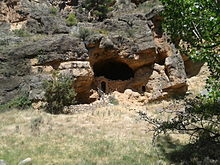 They would live in small cabins, often shared with their sheep, and would buy food from local communities. Less often shepherds lived in covered wagons that traveled with their flocks. Shepherding developed only in certain areas. In the lowlands and river valleys, it was far more efficient to grow grain and cereals than to allow sheep to graze, thus the raising of sheep was confined to rugged and mountainous areas. In pre-modern times shepherding was thus centered on regions such as the Middle East, Greece, the Pyrenees, the Carpathian Mountains, Scotland and Northern England. The shepherd's crook is a strong multi-purpose stick or staff, often fashioned with a hooked end. In modern times, shepherding has changed dramatically. The abolition of common lands in Europe in the eighteenth and nineteenth century moved shepherding from independent nomads to employees of massive estates. Some families in Africa and Asia have their wealth in sheep, so a young son is sent out to guard them while the rest of the family tend to other chores. In the USA, many sheep herds are flocked over public BLM lands. Wages are higher than was the case in the past. Keeping a shepherd in constant attendance can be costly. Also, the eradication of sheep predators in parts of the world have lessened the need for shepherds. In places like Britain, hardy breeds of sheep are frequently left alone without a shepherd for long periods of time. More productive breeds of sheep can be left in fields and moved periodically to fresh pasture when necessary. Hardier breeds of sheep can be left on hillsides. The sheep farmer will attend to the sheep when necessary at times like lambing or shearing. First Shepherd's Fair was announced to take place in the Cyprus Village of Pachna, on August 31, 2014, in the printed editions of Cyprus Weekly and in the Greek language daily, Phileleftheros. European exploration led to the spread of sheep around the world, and shepherding became especially important in Australia and New Zealand where there was great pastoral expansion. In Australia squatters spread beyond the Nineteen Counties of New South Wales to elsewhere, taking over vast holdings called properties and now stations. Once driven overland to these properties, sheep were pastured in large unfenced runs. There, they required constant supervision. Shepherds were employed to keep the sheep from straying too far, to keep the mobs as healthy as possible and to prevent attacks from dingoes and introduced predators such as feral dogs and foxes. Lambing time further increased the shepherd's responsibilities. Shepherding was an isolated, lonely job that was firstly given to assigned convict servants. The accommodation was usually poor and the food was lacking in nutrition, leading to dysentery and scurvy. When free labour was more readily available others took up this occupation. Some shepherds were additionally brought to Australia on the ships that carried sheep and were contracted to caring for them on their arrival in the colony. Sheep owners complained about the inefficiency of shepherds and the shepherds' fears of getting lost in the bush. Typically sheep were watched by shepherds during the day, and by a hut-keeper during the night. Shepherds took the sheep out to graze before sunrise and returned them to brush-timber yards at sunset. The hut-keeper usually slept in a movable shepherd's watch box placed near the yard in order to deter attacks on the sheep. Dogs were also often chained close by to warn of any impending danger to the sheep or shepherd by dingoes or natives. In 1839 the usual wage for a shepherd was about AU₤50 per year, plus weekly rations of 12 pounds (5.4 kg) meat, 10 pounds (4.5 kg) flour, 2 pounds (0.91 kg) sugar and 4 ounces (110 g) tea. The wage during the depression of the 1840s dropped to ₤20 a year. During the 1850s many shepherds left to try their luck on the goldfields causing acute labour shortages in the pastoral industry. This labour shortage leads to the widespread practice of fencing properties, which in turn reduced the demand for shepherds. Over 95% of New South Wales sheep were grazing in paddocks by the mid-1880s. An 1890s census of fencing in New South Wales recorded that 2.6 million kilometres of fencing had been erected there with a contemporary cost of A$3 billion. Boundary riders and stockmen replaced shepherds working on foot, who have not been employed in Australia and New Zealand since the start of the 20th century. Dumuzid, later known as Tammuz, was an important rural deity in ancient Mesopotamian religion, who was revered as the patron god of shepherds. In his role as Dumuzid sipad ("Dumuzid the Shepherd"), he was believed to be the provider of milk, which was a rare, seasonal commodity in ancient Sumer due to the fact that it could not easily be stored without spoiling. Under this same title, Dumuzid was thought to have been the fifth antediluvian king of the Sumerian city-state of Bad-tibira. In the Sumerian poem Inanna Prefers the Farmer, Dumuzid competes with the farmer Enkidu for the affection of the goddess Inanna and ultimately wins her favor. Ancient Near Eastern peoples associated Dumuzid with the springtime, when the land was fertile and abundant, but, during the summer months, when the land was dry and barren, it was thought that Dumuzid had "died". Metaphorically, the term "shepherd" is used for God, especially in the Judeo-Christian tradition (e.g. Psalm 23, Ezekiel 34), and in Christianity especially for Jesus, who called himself the Good Shepherd. The Ancient Israelites were a pastoral people and there were many shepherds among them. It may also be worth noting that many biblical figures were shepherds, among them the patriarchs Abraham and Jacob, the twelve tribes, the prophet Moses, King David, and the Old Testament prophet Amos, who was a shepherd in the rugged area around Tekoa. In the New Testament, angels announced the birth of Jesus to shepherds. The same metaphor is also applied to priests, with Roman Catholic, Church of Sweden and other Lutheran, and Anglican bishops having the shepherd's crook among their insignia (see also Lycidas). In both cases, the implication is that the faithful are the "flock" who have to be tended. This is in part inspired by Jesus's injunctions to Peter, "Feed my sheep", which is the source of the pastoral image in Lycidas. The term "Pastor", originally the Latin word for "shepherd", is now used solely to denote the clergy of most Christian denominations. The Good Shepherd is one of the thrusts of Biblical scripture. This illustration encompasses many ideas, including God's care for his people. The tendency of humans to put themselves into danger's way and their inability to guide and take care of themselves apart from the direct power and leading of God is also reinforced with the metaphor of sheep in need of a shepherd. According to Muhammad, the Prophet of Islam, every messenger of God had the occupation of being a shepherd at one point in their lives, as he himself was as a young man. Narrated by Jabir bin Abdullah: We were with Allah’s Apostle picking the fruits of the Arak trees, and Allah’s Apostle (peace and blessings of Allah be to him) said, “Pick the black fruit, for it is the best.” The companions asked, “Were you a shepherd?” He replied, “There was no prophet who was not a shepherd.” (Sahih Bukhari, Chapter ‘Prophets’, Volume 4, Book 55, Hadith 618) This includes Jesus, Moses, Abraham, and all other prophets according to Islam. This concept has also been used frequently by critics of organized religion to present an unflattering portrayal. The shepherd, with other such figures as the goatherd, is the inhabitant of idealized Arcadia, which is an idyllic and natural countryside. These works are, indeed, called pastoral, after the term for herding. The first surviving instances are the Idylls of Theocritus, and the Eclogues of Virgil, both of which inspired many imitators such as Edmund Spenser's The Shepheardes Calender. The shepherds of the pastoral are often heavily conventional and bear little relation to the actual work of shepherds. Shepherds and shepherdesses have been frequently immortalized in art and sculpture. Among the best known is the neoclassical Danish sculptor Bertel Thorvaldsen's Shepherd Boy with Dog. In the Latin American literary classic Empire of Dreams (Yale, 1994) by Giannina Braschi, shepherds invade the city of New York in a pastoral revolution. The shepherd, in such works, appears as a virtuous soul because of his living close to nature, uncorrupted by the temptations of the city. So Edmund Spenser writes in his Colin Clouts Come Home Againe of a shepherd who went to the city, saw its wickedness, and returned home wiser, and in The Faerie Queene makes the shepherds the only people to whom the Blatant Beast is unknown. Many tales involving foundlings portray them being rescued by shepherds: Oedipus, Romulus and Remus, the title characters of Longus's Daphnis and Chloe, and The Winter's Tale by William Shakespeare. These characters are often of much higher social status than the characters who save and raise them, the shepherds themselves being secondary characters. Similarly, the heroes and heroines of fairy tales written by the précieuses often appeared as shepherds and shepherdesses in pastoral settings, but these figures were royal or noble, and their simple setting does not cloud their innate nobility. In Hans Christian Andersen's "The Shepherdess and the Chimney Sweep" (1845), the porcelain shepherdess carries a gilt crook and wears shoes of gilt as well. Her lover is a porcelain chimney sweep with a princely face "as fair and rosy as a girl's", completely unsmudged with soot. The Shepherd by Frederick Forsyth is the story of a flight from Germany to England undertaken by a young Vampire pilot one Christmas Eve. Biographies of David Ben-Gurion published in the early years of Israel emphasized his having been a shepherd immediately after his arrival in the country in the 1900s. Later, however, historians concluded that he had been involved only very briefly in this profession and was not good at it. ^ "Philenews – Κύπρος Ειδήσεις Πολιτική Κοινωνία Ψυχαγωγία". ^ a b Black, Jeremy; Green, Anthony (1992). Gods, Demons and Symbols of Ancient Mesopotamia: An Illustrated Dictionary. The British Museum Press. p. 72. ISBN 0714117056. ^ Wolkstein, Diane; Kramer, Samuel Noah (1983). Inanna: Queen of Heaven and Earth: Her Stories and Hymns from Sumer. New York City, New York: Harper&Row Publishers. pp. 30–49. ISBN 0-06-090854-8. ^ a b Ackerman, Susan (2006) . Day, Peggy Lynne (ed.). Gender and Difference in Ancient Israel. Minneapolis, Minnesota: Fortress Press. p. 116. ISBN 9780800623937. ^ GradeSaver. "Christopher Marlowe's Poems The Passionate Shepherd to His Love Summary and Analysis". www.gradesaver.com. 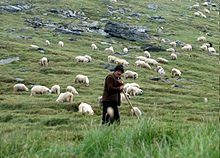 Wikimedia Commons has media related to Shepherds. Look up shepherd in Wiktionary, the free dictionary.